You probably already know about all the Hall of Fame skincare lines – the Chanels, the Estee Lauders, the La Mers. But there’s a whole new class of beauty brands putting out killer product after killer product. Have you heard of Drunk Elephant? Practically overnight it seemed like the cute colorful packaging with the elephant on it was on every skincare shelfie on Instagram and beauty blog. Tiffany Masterson founded the line with the intention of creating skincare that was good for you and with a philosophy of “a product is only as good as its worst ingredient,” she delivers. Drunk Elephant works, and these are the top five products you should use. After years of using products that didn’t quite work from her, from drugstore to dermatologist, she decided to create her own, so she did. 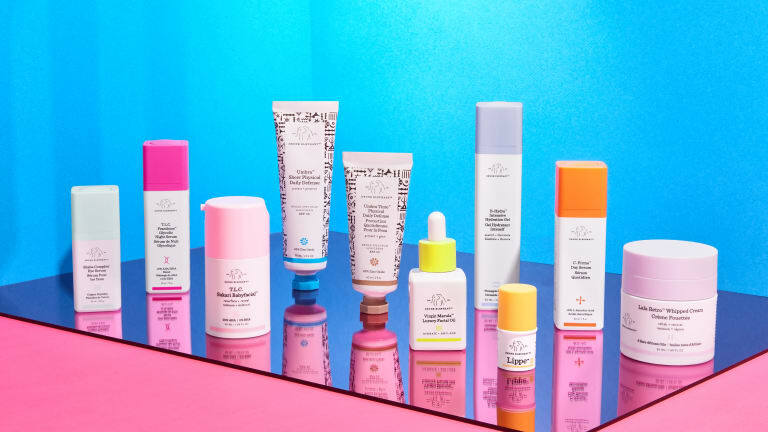 All of the Drunk Elephant products are formulated without the “suspicious 6” which include essential oils, fragrance/dyes, silicones, SLS, chemical sunscreens and drying alcohols. Plus, the packaging is so beautiful it makes me excited to see them out on the counter or on the shelf. Here are the five products we can’t live without: The Glycolic Night Serum, C-Firma Day Serum, A-Passioni Retinol Cream, Sukari Babyfacial, and Luxury Facial Oil all have thousands of reviews and average over four stars each.